If you’re celebrating a special event with lots of people in Rowlett, TX, reliable group transportation is a must. Our Limo Service Rowlett has been voted #1 in the Dallas – Fort Worth area for several years in a row! We have amazing vehicles for rent at affordable prices, and our chauffeurs are the best in the business. Call now, 214-206-9269. Why Limo Service Rowlett TX? When you hire our companys, you will be able to move from place to place in style and with no worries in your mind. If you are a small group of friends and you are out for a night in town then any of our limousine rentals would fit your needs. If you are with the family or a large group of people, then you could use our Rowlett charter bus rental. Our vehicles have all the wonderful luxury amenities you could ask for! From the best video and audio equipment, top of the line seats and interiors, as well as the best club lighting for your own mini party on wheels! Wherever you may go with our limo rental service, you will be able to stay safe and sound with your very own professional and reliable chauffeur. Book your ride now, by calling our customer service number now. A representative will finish the reservation for you. 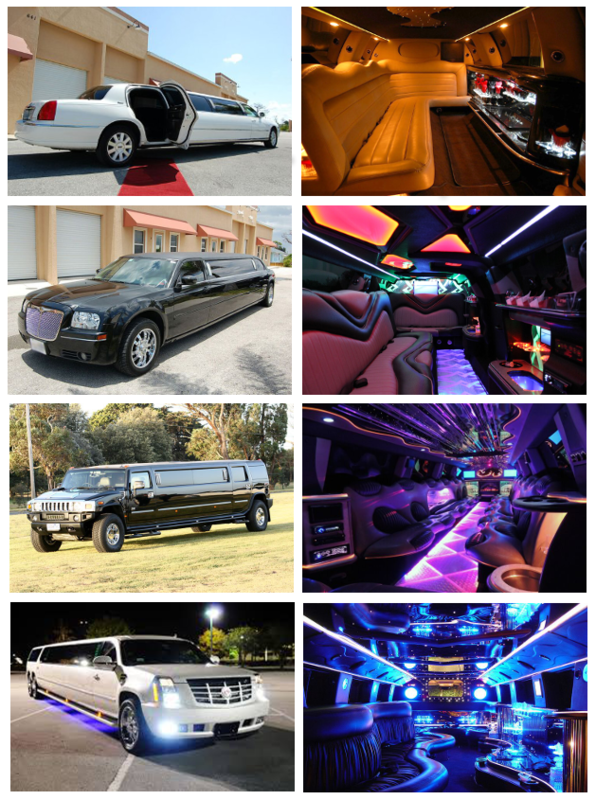 All you need to do is to choose the ideal luxury limousine or party bus for you, and your group. We offer many luxury cars like H2 Hummers, Cadillac Escalades, Lincoln Navigators and Town Cars, and so many more. Take a look at our Rowlett party bus fleet now! You may book as soon as you can but it is recommended that you make your reservation several days before you arrive. Our limousine will arrive on time on your doorstep, hotel lobby or at the airport. Don’t wait to make your reservation 214-206-9269. FireWheel Brewing Company – this is where you will find a great selection of quality craft beers. Waterview Golf Club – this is a beautiful local golf course where you can practice your swing along with your family or friends. Amelias Cocina Mexicana – this is a favorite local restaurant where you can find delectable dishes and a great crowd to hang out with. Rowlett Bowlarama – do you want to learn how to bowl or do you want to show off your skill? This is your chance! After a spin with your Rowlett limos, take your group for a lively game. Kick-Em Training Facility – you will love to play with your family or friends here. Play dodge-ball, soccer or other ball games with special discounts for kids! When you arrive at Dallas/Fort Worth International Airport you can ask your chauffeur to take you directly to your hotel or your accommodation in the city. You may also visit nearby cities such as Highland Park, University Park, Irving, Balch Springs, Duncanville, Farmers Branch, Mesquite, Grand Prairie, Richardson, Addison, Carrollton and Garland.